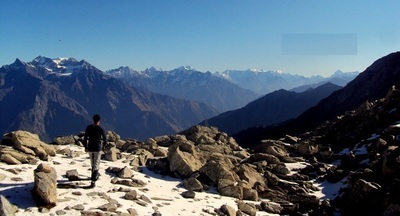 Shinghor Pass or Singhar Pass. This pass is one of the difficult passes of the Dhauladhar range and is not very common amongst trekkers due to its very difficult approach. 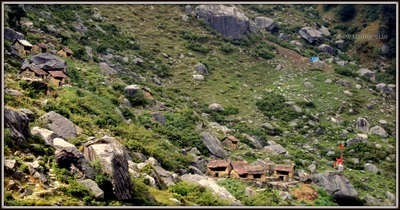 Local gaddis are frequently seen crossing this pass during summer and autumn with their flocks of sheep and goats. They take their flocks regularly across this pass for grazing up to Manimahesh and Lahaul and Spiti. It is interesting that these gaddi herdsmen, who are semi-nomadic, have been allotted pasturelands in very remote areas of Lahaul and Spiti. They cross these passes twice in a year with their livestocks. 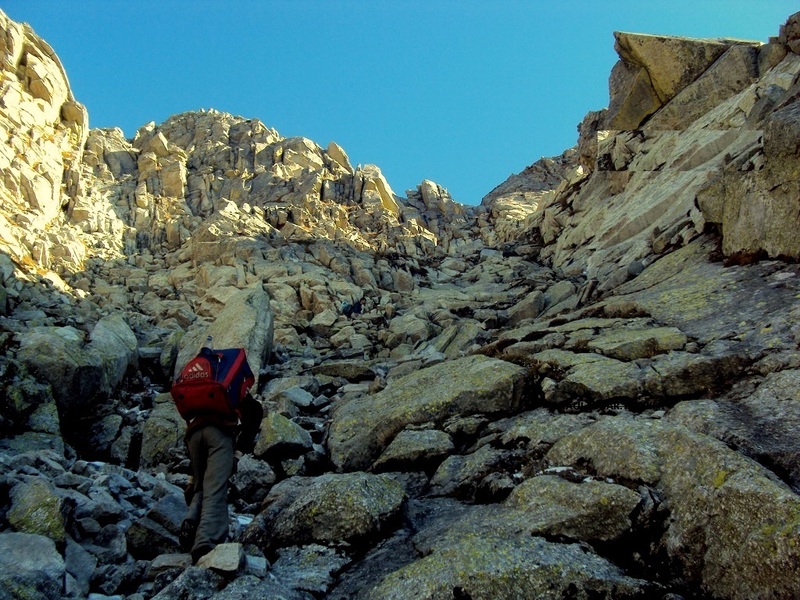 This pass is crossable by men and goats only; mules cannot cross this pass. Singhar the ‘Killer’ according to the local people is very unpredictable pass and one cannot be sure of weather conditions on it. Clouds emerge suddenly with strong winds and thunders; thus reducing the temperature considerably. 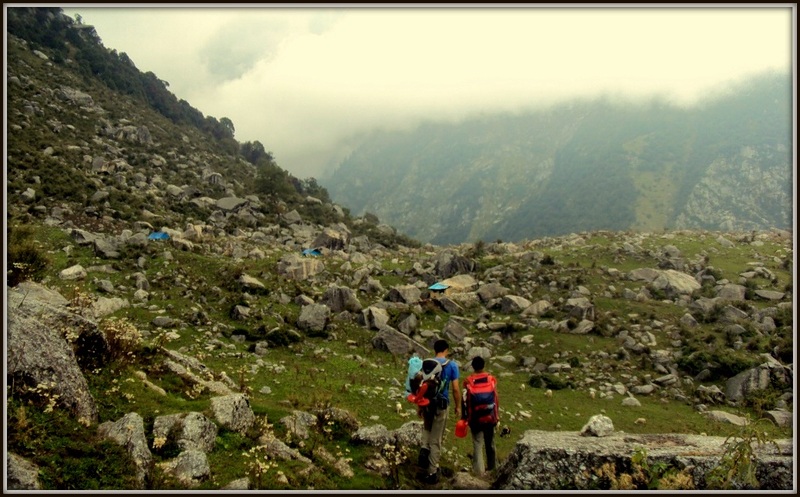 Due to abrupt change in weather, situation at times become fatal for the trekkers. We start our trek from Thala Village near Bandla, Palampur from Neugal Khad. After a few turns and twists we reach above Vindhawasini Temple and waterfalls and can enjoy the mesemrising view of the 100 meter falls. We keep climbing until we reach Kandla which is a settlement for Gujjars, we camp here tonight. 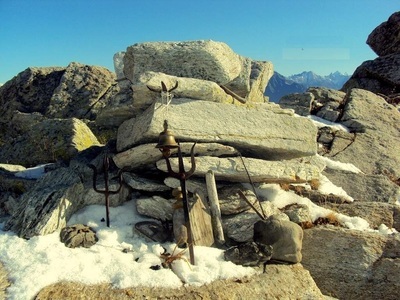 We will finally reach top of Shinghor Pass today, pay our obesiances at the small temple on a rock with Tridents and markings. From here we could see views of Palampur, Thala Village where we started our climb, Neugal River, and the bridge above it. On other side we will be able to see panaromic and breath taking views of chamba region, Chamba Kailash Peak, Snow cladded Pir Panjal Mountain Ranges, 360 degree views of Dhauladhar Ranges, and Ravi valley below us on the other side. We will proceed our descent towards Ravi valley after offering prayers to the Gods of Himalayas and reach Base Camp II at Bataula. We camp here tonight. Today we begin our descent towards Holi. After a small descent we will come across the Holy Lake called Keur which is also believed to be abode of Lord Shiva before he moved the Manimahesh. 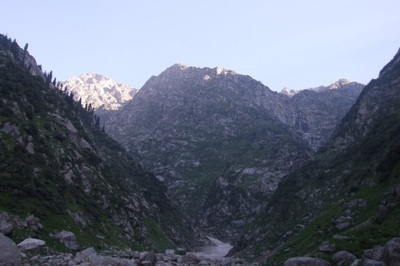 The trail will flatten from here and we can easily traverse towards nearby Gujjar huts until we reach a village called Tuh (2500 meters) and enjoy a sumptous Lunch there as our vehicles will be waiting for us to drive us towards our Hotel in Chamba with awesome memories and loads of pictures and satisfaction upon completion of the difficult trek.